Nine Holocaust survivors and victims of Nazi tyranny have “taken the stand” to give their testimony as a legacy for future generations. The survivors are from five different countries and were persecuted for reasons of ethnicity, politics/ideology, or religion. All in all, they were interned in fifty-four camps or institutions. The catalog of questions, unique in the world, consists of 100 questions from 61 schools and universities in 30 countries on 6 continents. 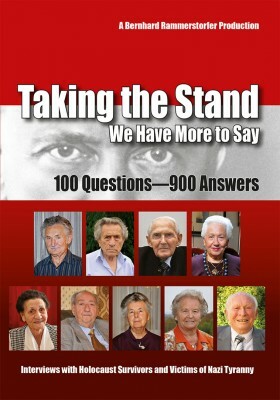 Those whose voices are heard in the film interviews range from an average housewife and an unskilled laborer to a fashion designer, from those who have been relatively silent to active Holocaust teachers and to survivors who have already been widely featured in the media and whose life stories have even been the subject of Oscar-winning films. 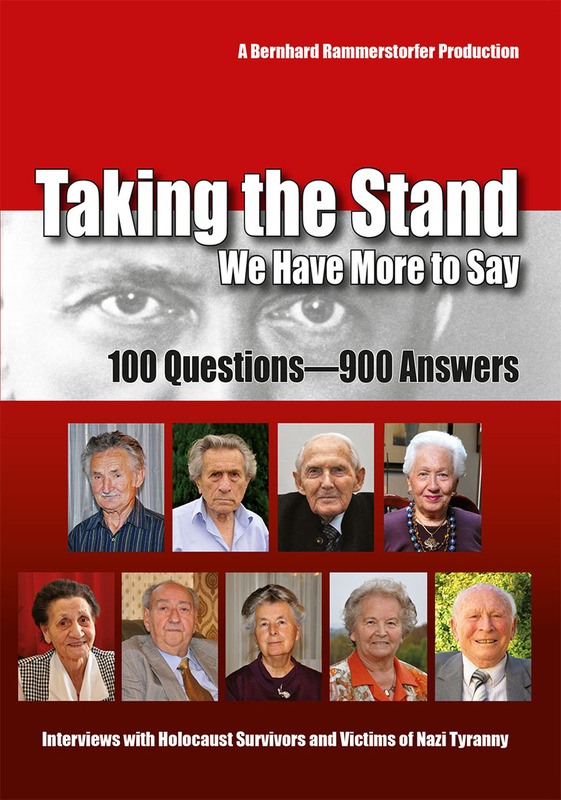 The DVD contains not only a short film biography of each of the nine survivors, but also a selection of their most interesting answers lasting approximately 10–20 minutes each. Also included is material for educational projects and exercises about the Holocaust and the films. This makes the DVD eminently suitable for use in schools. The films are also available as digital download. "Bernhard Rammerstorfer succeeded in his global research to eliminate the ‘noise’ of individual bias and recollection by systematically ‎distilling a set of relevant transcultural, transreligious and transnational questions of common interest to students of the Holocaust. These standardized interviews clearly revealed, how different personality traits, religious and socio-cultural backgrounds of the survivors ‎influenced their life stories and trauma management and in some cases led to a very optimistic interaction with present and future challenges. Rammerstorfer contributed a new scientific and human dimension to our understanding of the Nazi regime and its victims and martyrs."